Bay Glen is a subdivision in Clear Lake, Texas in the 77062 zip code. Its boundaries are Clear Lake City Blvd, Space Center Blvd, Pineloch Dr, and El Camino Real. The subdivision is comprised of single family homes that are typically 3 or 4 bedrooms with square footage ranging from around 1,400 to around 2,500 square feet. Click here to view the community association website. Click here to view CCISD's website. Click here to view the Harris County Appraisal District website. 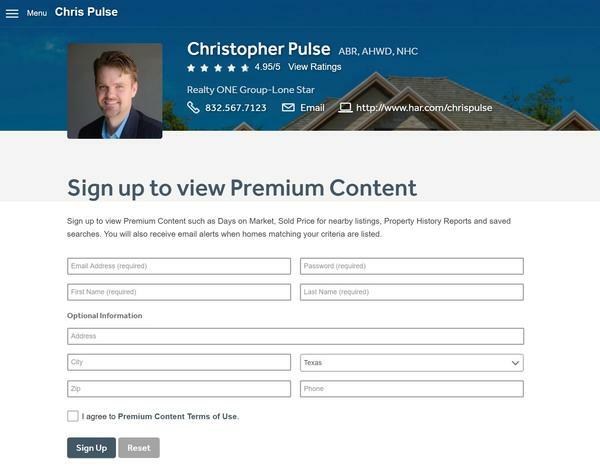 If you would like to keep a "Pulse" on the market and see property sold prices, days on market, and archives, be sure to sign up for my premium content by clicking the image below.